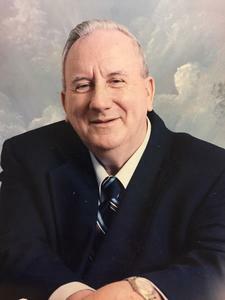 Age 82, went to be with the Lord Monday March 12, 2018 at Bronson Hospital, Kalamazoo. Loyal was born to Harvey and Hazel Widger on February 5, 1936 in Lawton in a train caboose off the railroad tracks on Nursery Street. He worked many jobs throughout his life, including: farm-work, canneries, office cleaning and many assorted jobs. He served in the US Army and was honorably discharged. Loyal was preceded in death by his parents and 8 siblings. He is survived of his wife of 50 years, Susan (Wagner) Widger; and his daughter, Laura Sue Widger both of Lawton; also surviving are daughters: Brenda Lee (Randy) Shaffer of Adrian and Merri Lou Donaldson of Baton Rouge, LA; 7 grandchildren; 13 great-grandchildren. Loyal was a member of Truth Church of Paw Paw for many years. Services will be held on Friday (March 16, 2018) at 6:30 PM at the Truth Church, 32560 56th Avenue; Paw Paw. In lieu of flowers, contributions may be made to Truth Church. Visit Loyal’s personal webpage at www.BetzlerFuneralHome.com where you can archive a favorite memory or photo of him and sign his online guestbook. Arrangements by Betzler & Thompson Life Story Funeral Homes, 60900 M-40 Hwy; Paw Paw (269) 657-3870.